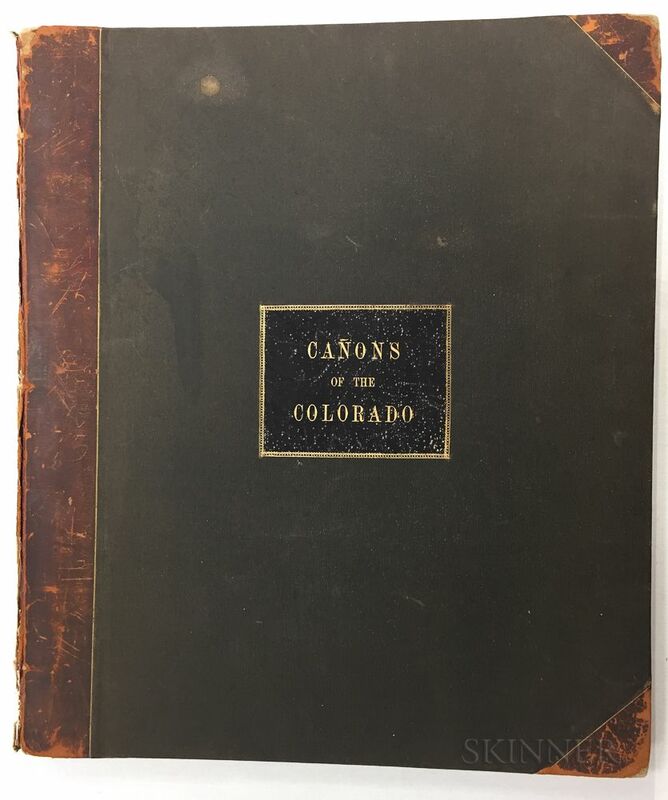 Dutton, Clarence E. (1841-1912) Atlas to Accompany the Monograph on the Tertiary History of the Grand Canon District. Dutton, Clarence E. (1841-1912) Atlas to Accompany the Monograph on the Tertiary History of the Grand Canon District. Dutton, Clarence E. (1841-1912) Atlas to Accompany the Monograph on the Tertiary History of the Grand Canon District. 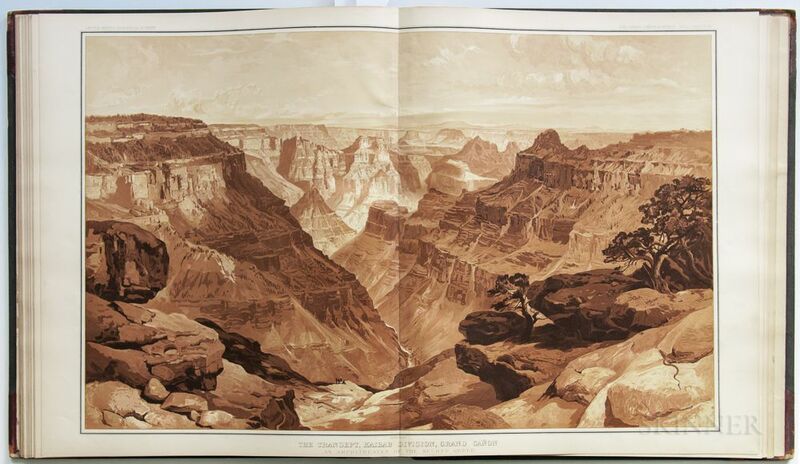 Dutton, Clarence E. (1841-1912) Atlas to Accompany the Monograph on the Tertiary History of the Grand Canon District. 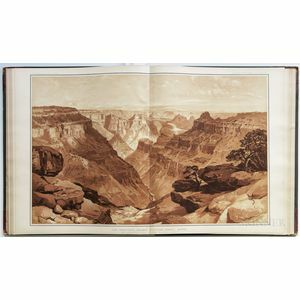 Dutton, Clarence E. (1841-1912) Atlas to Accompany the Monograph on the Tertiary History of the Grand Canon District. 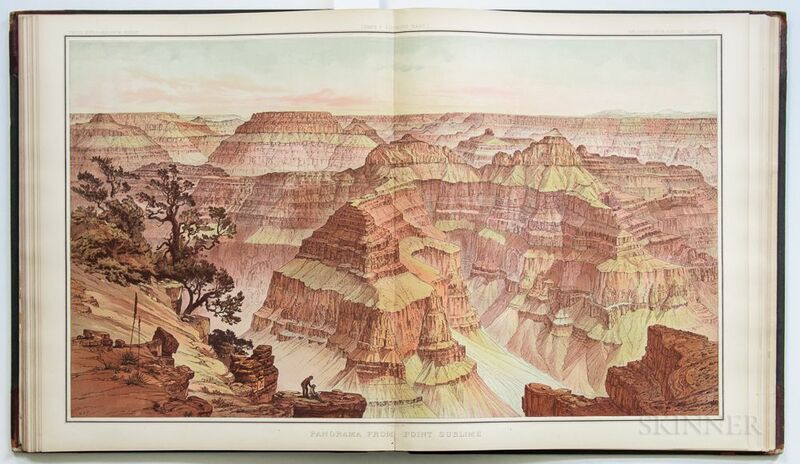 Dutton, Clarence E. (1841-1912) Atlas to Accompany the Monograph on the Tertiary History of the Grand Canon District. Washington, D.C. [and] New York: Julius Bien & Co., 1882. 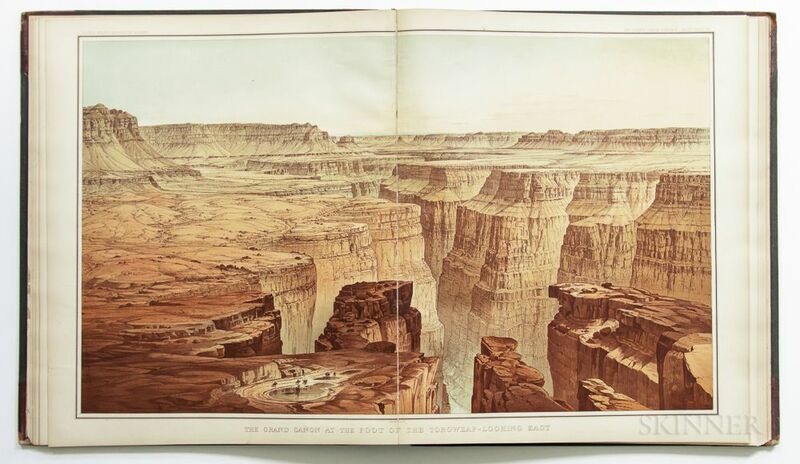 Oversized folio volume illustrated with double-page plates, including twelve maps, topographical plans, and geographical surveys, and eleven panoramic views of the Grand Canyon and its adjacent geological features, including a mammoth three-part panoramic view from Point Sublime in the Kaibab, all but one of the views were drawn by William H. Holmes, the view of the Transept drawn by Tomas Moran; topography by J.H. 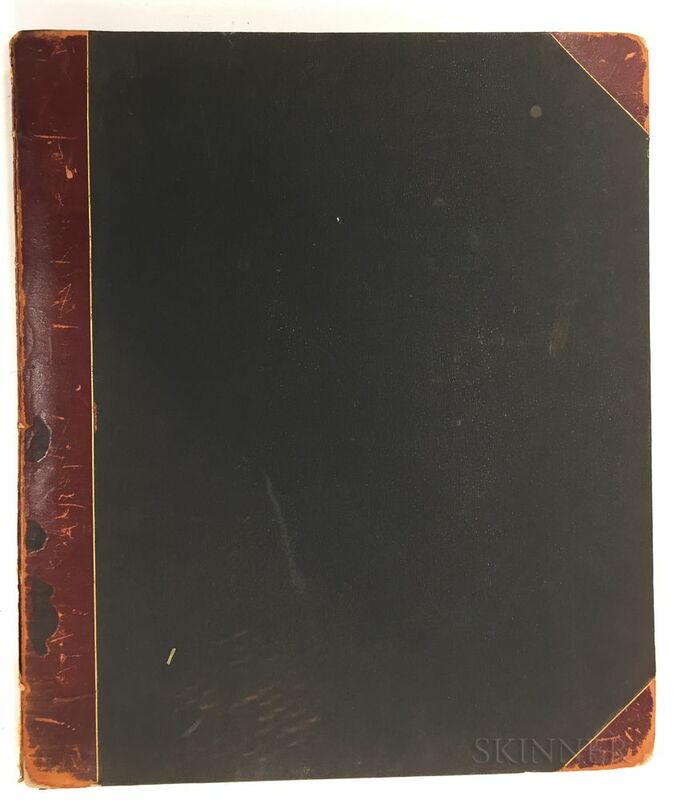 Renshawe, Sumner H. Bodfish, with geology by Dutton; each double-page plate mounted on a linen tab, bound in publisher's half-leather and textured cloth boards (worn, shaken, in need of restoration) with large original leather label on the front board, 19 3/4 x 17 in.